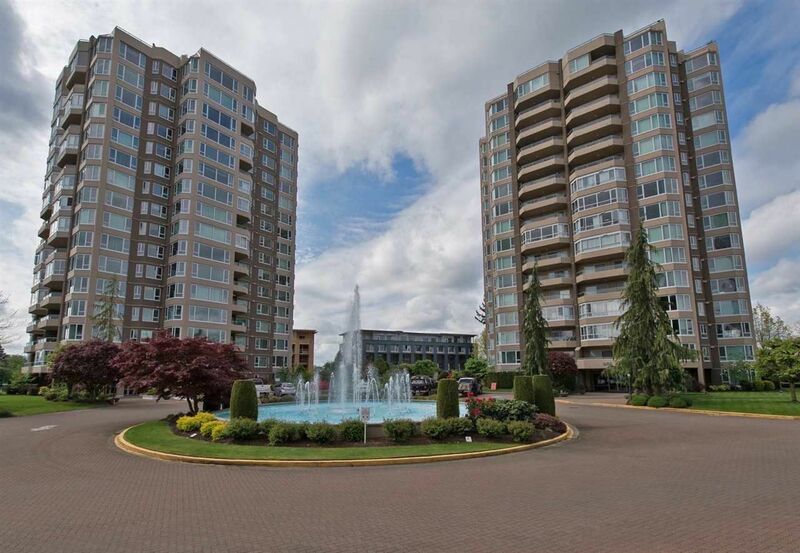 Great views from this 2 bed/2bth 9th floor unit in Regency Park Tower 2! This is one of Abbotsford's premier complexes with an impressive array of amenities. Located on the quiet side of the building with views to the North East and West. Large bright living space. Master bedroom with full ensuite, walk-in closet & access to balcony. Secure and well maintained building that's been fully rain screened and windows, roof and elevators recently replaced. Amazing amenities include Guest Suites, Indoor Pool, Hot Tub, Workshop, Exercise room, Games room and meeting area. This complex is 35+ age restricted with no pets or rentals allowed. Come have a look, it's truly a wonderful place to call home!